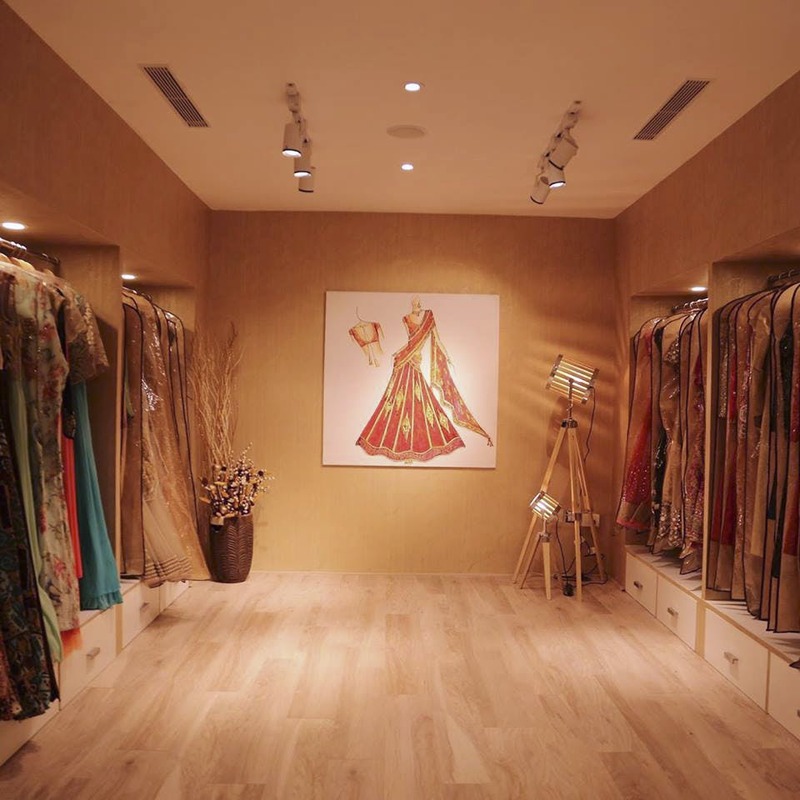 Brides and bridesmaids, shop for all kinds of designer outfits at Anita’s Designer Studio in Kilpauk. This boutique wins hands down for their decor (pastel walls, dreamy lantern, and dream catchers) and is definitely getting our vote for their clothing collection. If simple is your mantra, their collection of readymades will be up your alley. Warm colours, minimalistic embroidery, and simple motifs, these saris and blouses work well. For more intricate looks, they’ve got blouses with heavy embroidery, a larger colour palette, and accessories like chunky earrings. For cocktail gowns, head to the first floor where they have a large collection of readymades with and without glitter, glam, and all-that-jazz. The gowns are priced from INR 15,000. You can hoard up on wedding gifting options like potli bags, envelopes, and gifts starting INR 20. If you’re looking for super net saris, Anita’s Designer Studio has those too. These are priced on a heavier side, but you can choose from an extensive range. Hit up Anita’s Designer Studio in Kilpauk to get your bridal wear on point. They make customised clothes and gowns.